« Fidel & 5 Bars! Vacation & Waiting for the Big Idea! Big Idea …. where are you? I know that whenever I get a break new ideas start coming to me. The minute you step off that treadmill of “doing“, the minute you let your mind settle and unclutter those ideas come to you. It’s as if all the other “stuff” is a block that prevents that clear thinking that is needed to come up with those fresh ideas. So what’s happening? 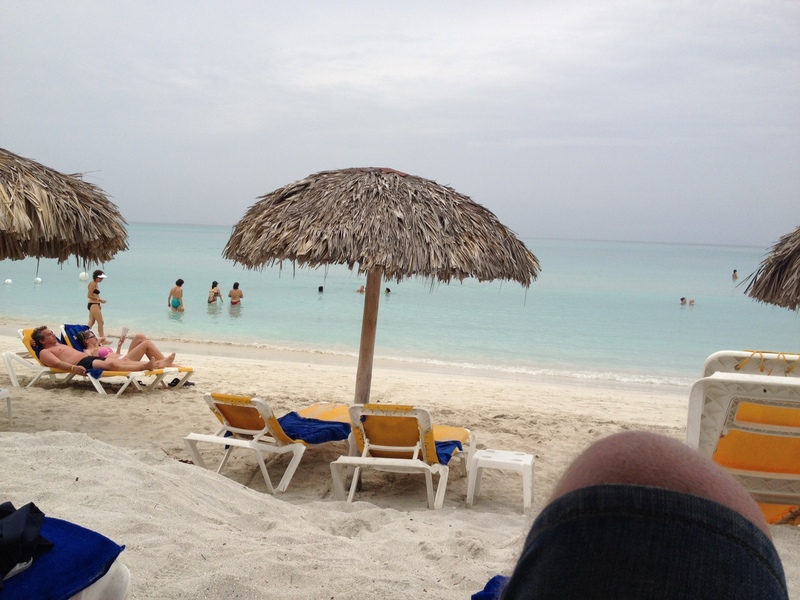 … I’m here sitting on the beach in Varadero, Cuba, sipping on a Mojito listening to the waves roll in gently. I’m surrounded by holiday makers lying on the beach, some asleep, some reading, all of them relaxing. A few of the energetic ones are in the water and some are walking the fabulous beach in their bare feet. I’ve been on holidays for nearly a week now , I’ve managed to unwind (at least I think so) pretty much fully so where are you? Come on big idea , major insight, incredible revelation…. I’m waiting!! Maybe the Big Idea is I need to take more breaks!! If that big idea comes over the next few days, I’ll let you know! This entry was posted on June 3, 2012 at 2:40 pm and is filed under Holidays, Personal development, Positivity, Tourism, Travel. You can follow any responses to this entry through the RSS 2.0 feed. You can leave a response, or trackback from your own site. I think holidays are meant to give your brain a break too. Don’t beat yourself up!! Greg, I reckon that ‘big ideas’ are like butterflies; the harder you chase them the more elusive they become. So sit back and relax and one will land gently on your shoulder and whisper in your ear! I love the analogy …. thank you ! Hope some exotic butterflies land as you doze in the sun! Good stuff Greg. I guess it can also help your mind to “break free” when you take a day off on a frequent basis – but Cuba sounds like heaven. Enjoy! heaven ain’t a bad place to be ! …now get off that device and truly relax!